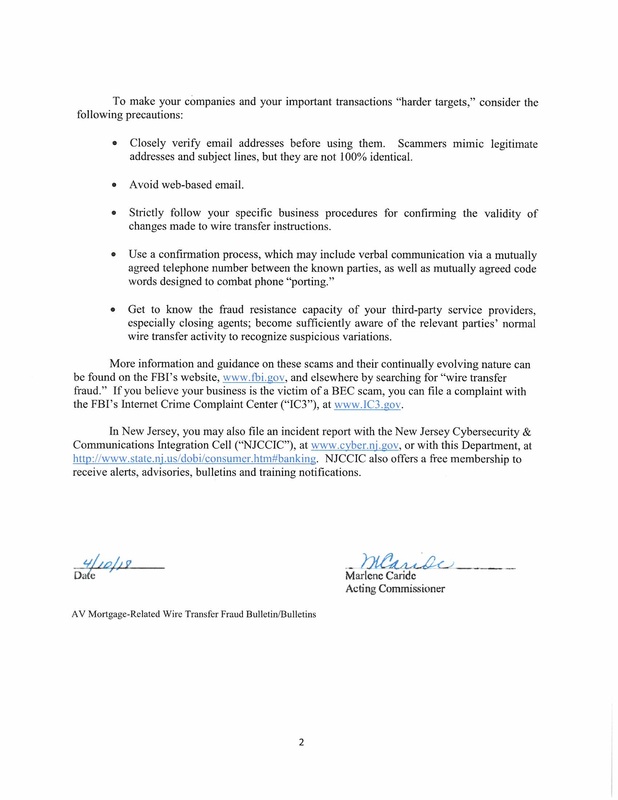 EMAIL HACKING AND FRAUD ARE ON THE RISE SEEKING TO FRAUDULENTLY MISDIRECT FUNDS IN REAL ESTATE TRANSACTIONS. BEFORE YOU EVER AUTHORIZE THE WIRING OF ANY FUNDS, CALL YOUR TITLE ESCROW COMPANY AND SPEAK TO SOMEONE THAT YOU PERSONALLY KNOW FROM THE TRANSACTION TO VERIFY ANY WIRING FUNDING INSTRUCTIONS. 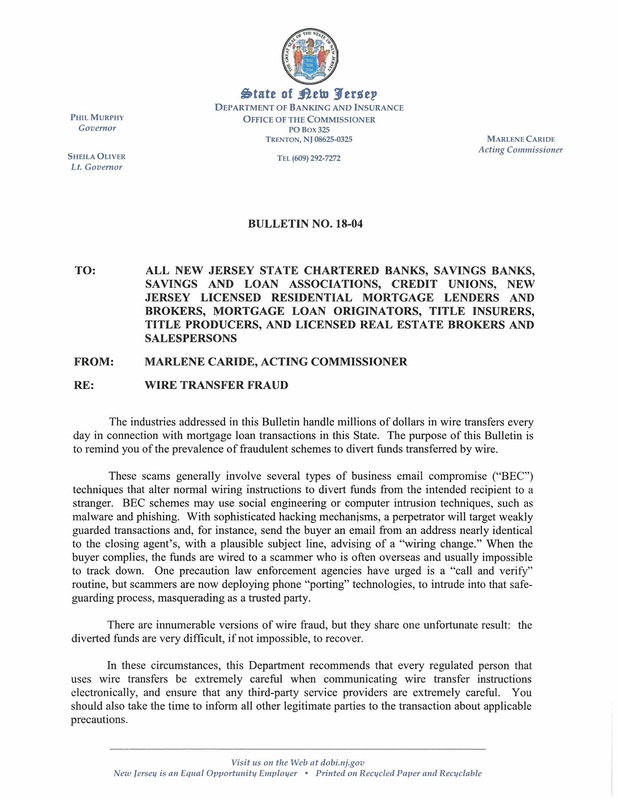 NEVER WIRE FUNDS TO AN ACCOUNT THAT YOU HAVE ONLY RECEIVED A TEXT OR EMAIL PROVIDING THE ACCOUNT INFORMATION THE TEXT OR EMAIL MAY APPEAR GENUINE, BUT IT MAY ALSO BE FROM A HACKER/CRIMINAL ATTEMPTING TO DIVERT YOUR FUNDS.WE ARE NOT RESPONSIBLE FOR ANY WIRES SENT, TO A FRAUDULENT BANK ACCOUNT.